We all know that a child’s immune system isn’t fully developed. Most of the time, children’s immune systems are less efficient fighting different types of viruses. Unfortunately, a lot of parents also take the wrong approach to keep their children protected from sicknesses. The first and most common approach of parents are immunization shots which are unnecessary. In fact, the most effective technique to keep children healthy is to boost their immune systems because this is the first line of defense against viruses. 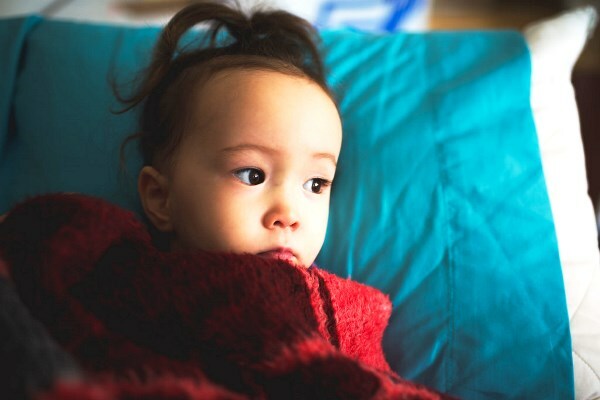 Fortunately, there are simple ways to keep your children from sicknesses and these aren’t difficult to achieve. Below are the secrets of children who rarely get sick. Washing hands regularly helps prevent passing gastrointestinal and respiratory sickness. Before your little ones eat or after playing, train them to wash their hands thoroughly with soap. When they do so, your little ones should also make scrubbing a habit. Teach them how to scrub properly while singing the Happy Birthday song. They should complete this before rinsing their hands. 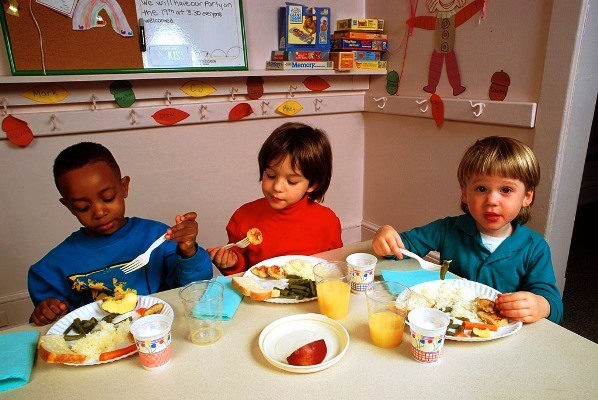 Younger children need to be nourished to be able to fight germs. Ensure that your little ones have a proper diet. See to it that they eat enough protein, fruit and vegetables to boost their immune system. Vitamins A, C, and D are the best for boosting the immune system to fight off colds. Give them a lot of citrus, leafy greens, as well as yellow and orange vegetables. Aside from these vitamins, your children should also be taking active cultures or probiotics which can be found in yogurt. Feeding them these types of food is also healthier than giving them synthetic vitamins. Sleep highly affects one’s health which is why it is essential to have sufficient hours of sleep. For children, they require 11 hours of sleep so make sure they go to bed early. Those who get proper sleep have less chances of becoming obese, developing diabetes or heart problems. Sleep is just as important as having a healthy diet. This is the time when your children’s bodies replenish the neurotransmitters and chemicals that enable brain cells to communicate. Flu and cold viruses can go through the mouth, nose, skin, and eyes so make sure that your children keep their hands off their faces. It may be difficult to achieve this, but always remind them to wash or rub sanitizer on their hands first before they touch their face. Let them practice these habits early on while they’re still young. 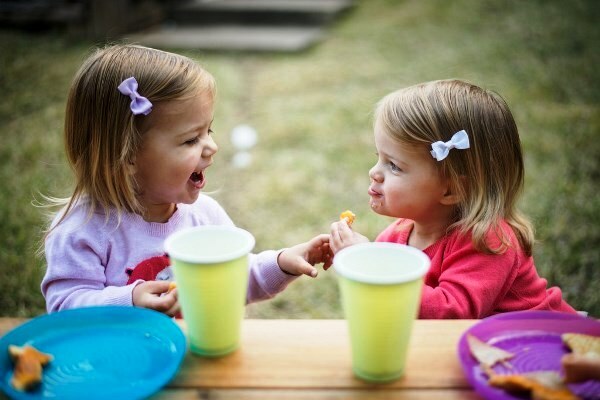 Although sharing is good, teach your child to avoid sharing drinks with the same cup or straw, or eating using the same utensils as others. Sharing is one of the main reasons why colds and other respiratory illnesses are acquired. Let them know that they can still share what they have, but don’t eat or drink from the same containers. One way to boost your children’s immune system is to have enough vitamin D which they can get when they go under the sun. A lot of studies have shown that vitamin D deficiency is linked to various respiratory conditions such as colds, bronchitis, and pneumonia. Aside from improving their immune system, vitamin D is also beneficial for their bone growth and cardiovascular health. See to it that your children are physically active and that they spend time playing outdoors. This will help them burn more calories and prevent obesity and heart problems. According to research, exercising moderately and regularly reduces the risks of having colds and flu by 20 to 50%. 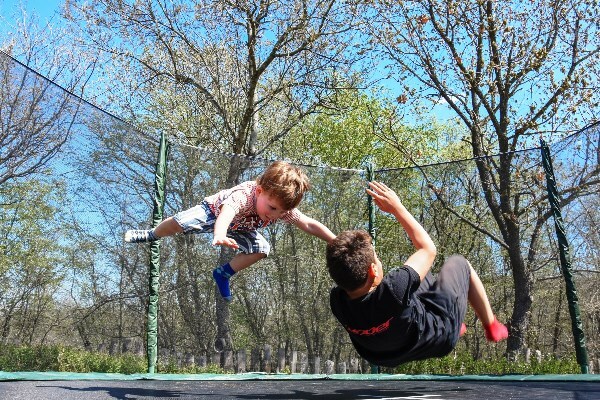 Outdoor activities also help children practice physical skills and improve their brain function especially when it comes to concentration power, retaining memory, as well as attention span. 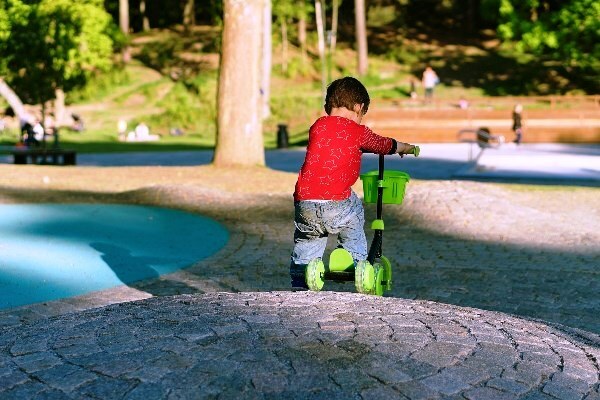 Encourage your little ones to spend some time outside. Take them to the nearby park and get them involved in sports. 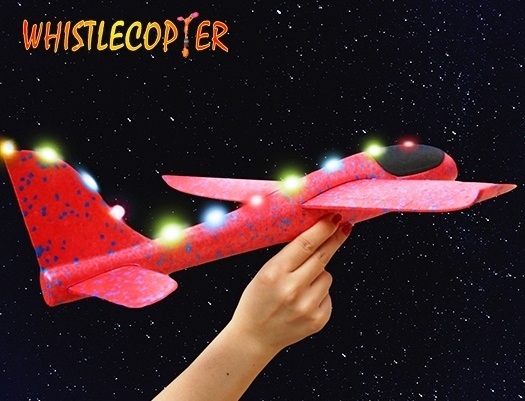 Make things more fun by playing with the Whistlecopter toys. 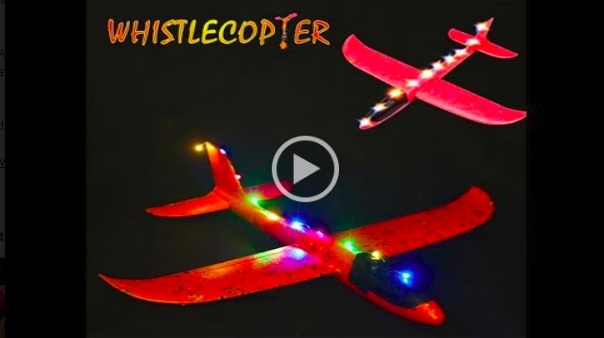 The Throwing Glider Airplane features three LED light modes that can be easily changed by just pushing the black button. To switch this on, just push the black button, the lights will begin to flash. Push it once for medium strobe; press it once again for the fast strobe. Each Throwing Glider Airplane comes with two additional 2032 batteries so you can enjoy playing for a longer time. The Throwing Glider Airplane is available in three colors which are blue, orange, and pink.